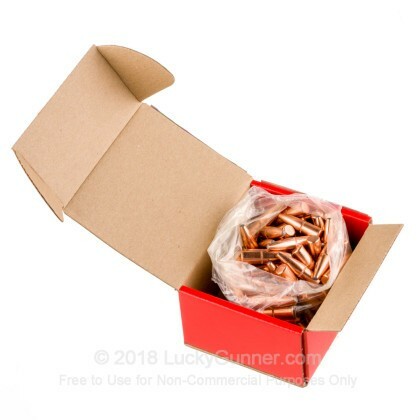 These .338 caliber bullets are an amazing choice for hand-loading hunters who aim to take on large and dangerous game. 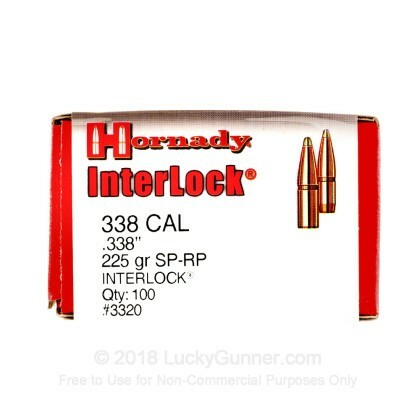 The projectile's profile is crafted under the directive of Hornady's InterLock line which includes a one-piece lead core entrapped within a sleek copper jacket that tapers in thickness as it nears the tip of the bullet; this ensures that the rounded, exposed spire point (SP-RP) is encouraged to expand without impedance. 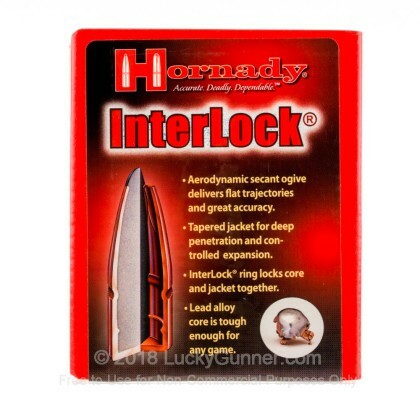 InterLock bullets also have a toothed cannelure as well as an internal locking flange which both serve to prevent jacket separate while slowing expansion to a more calculated rate. As a result, shooters can expect these bullets to penetrate thick hide and bone before transferring their energy to more vital areas. In addition, the toothed cannelure provides an area for sturdy, consistent crimping and contributes to greater accuracy and uniform performance. 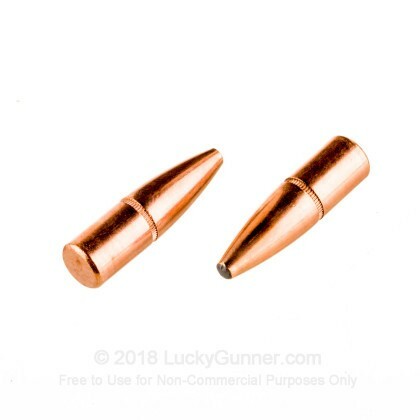 A major diameter of .338 inches makes these bullets appropriate for custom Magnum loads like .338 Lapua and .338 Winchester. 225 grains is in the medium range for those calibers and allows reloaders a good bit of flexibility in their load choice.